One of the objectives of the Romanian Presidency is to ensure a more competitive and safer mobility, with an impact on the functioning of the single market and to the benefit of the citizens. To achieve the Presidency’s objective of a Europe of convergence, Romania aims to contribute to improving the functioning of the EU single market. The Digital Single Market project is a fundamental element for the integration of European markets and in facilitating the fundamental freedoms of the European Union. Guaranteeing the efficient functioning of the European Union and achieving its economic, social and security objectives depend on ensuring an adequate level of single market interconnectivity, a priority justified by European developments in the energy, transport and telecommunications sectors. By focusing on the development of smart, sustainable and fully interconnected networks, the European Union can achieve the single market goals in a truly efficient and sustainable manner. Increasing mobility is supported by good connectivity that, alongside infrastructure, depends to a great extent on the modernisation and diversification of transport services or the use of innovative means of transport or traffic management systems. The priority for the Romanian Presidency will be to continue negotiating the three mobility packages, aiming at achieving a balanced compromise for the proposals on land and maritime transport and infrastructure. At the same time, the Presidency aims to advance negotiations on the Connecting Europe Facility (CEF 2.0), with the aim of funding infrastructure and related projects under CEF to support the objectives of developing the TEN-T networks. In the land transport sector, the Romanian Presidency will continue the negotiations on Mobility Package I, aiming to identify optimal solutions to ensure a more efficient functioning of the single market, more competitive and safer mobility and an adequate balance between improving working conditions, reducing administrative burden and enforcement of regulations. Thus, the Presidency will aim to achieve a compromise on the files on access to the occupation of road transport operator and access to the road transport market, posting of drivers, social legislation and leased vehicles. At the same time, the Romanian Presidency will make efforts to advance the negotiations on the proposal concerning railway passengers’ rights. The Presidency will pay a special attention to initiatives that improve road safety, aiming to advance the negotiations on the road infrastructure safety management file. The revision of the Combined Transport Directive for the development of intermodal freight transport infrastructure is a good opportunity to define support measures for this type of transport. The measures should ensure efficient use of existing freight transport infrastructure, by attracting the flow of goods from road to railway and inland waterways transport, thus generating economic growth and low environmental impact and eliminating road traffic jams. The Romanian Presidency will aim to advance the negotiations on this file, as well as the file on procurement of non-polluting vehicles. In the maritime transport sector, the Romanian Presidency will aim at starting negotiations with the European Parliament on the legislative initiative regarding the training of sailors and the certification recognition system. With regard to the Council Recommendation on small passenger ships, the Presidency aims to restart the discussions, with a view to adopting this file. An important objective of the Presidency is to make real progress in achieving the objectives for completing the TEN-T network that will ultimately contribute to increasing the European Union’s cohesion and competitiveness in terms of sustainable mobility and interconnectivity. The Romanian Presidency pays special attention to streamlining the project authorisation process and, as a result, to accelerating the implementation of TEN-T priority projects. For this reason, it will aim at advancing the negotiations on the proposal for a ‘Smart TEN-T’ Regulation. In the new age of mobility and digital, where the EU aims at becoming a world leader in digitalisation, the development of a Single European Transport Area requires creating synergies between the objectives of the transport, energy and telecommunication strategies. Thus, standards and trends in the development of transport infrastructure and services in terms of multi-modality, digitalisation and innovation must be considered in the development of the EU-wide transport network. 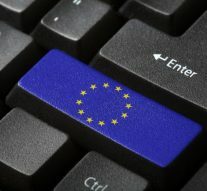 The Romanian Presidency will therefore aim at starting negotiations with the European Parliament on the legislative initiative establishing a single reporting interface at European level (European Maritime Single Window) and will also aim at advancing discussions on the file regarding the use of electronic information in freight transport. In aviation, the international dimension will take priority. The Romanian Presidency will facilitate discussions on the negotiation, signing and entry into force of air transport agreements between the EU and third countries. Digitalisation does not only mean investments in advanced technologies, but also allowing every European citizen’s access to digital skills and new technologies so as to improve their quality of life, work, professional performance, health and interaction with public authorities. To achieve their goal, more efforts are required to reduce as much as possible the digital gap between various regions, categories of citizens or economic sectors, in order to ensure that the benefits are spread throughout the Union, both in the use of technology and in social development. At the same time, improving connectivity and energy security through infrastructure development is an essential means for consolidating Europe’s energy system. The future of the Energy Union rests with a governance system that supports and implements innovative solutions, based on energy efficiency measures, with a view to transitioning to clean energy and for the benefit of the European consumer. We aim for a European energy market that provides more security to Member States, trust in the reliability of market signals on long-term energy needs to investors, and safe, sustainable and affordable energy to consumers. Last but not least, energy storage solutions (whether for electricity or natural gas) are the optimal method to strike a balance between economic benefits and the strategic objectives of the energy system of the future.